Previous work has shown considerably enhanced soil fertility in agroecosystems managed by organic farming as compared to conventional farming. Arbuscular mycorrhizal fungi (AMF) play a crucial role in nutrient acquisition and soil fertility. The objective of this study was to investigate the diversity of AMF in the context of a long-term study in which replicated field plots, at a single site in Central Europe, had been cultivated for 22 years according to two “organic” and two “conventional” farming systems. In the 23rd year, the field plots, carrying an 18-month-old grass-clover stand, were examined in two ways with respect to AMF diversity. Firstly, AMF spores were isolated and morphologically identified from soil samples. The study revealed that the AMF spore abundance and species diversity was significantly higher in the organic than in the conventional systems. Furthermore, the AMF community differed in the conventional and organic systems: Glomus species were similarly abundant in all systems but spores of Acaulospora and Scutellospora species were more abundant in the organic systems. Secondly, the soils were used to establish AMF-trap cultures using a consortium of Plantago lanceolata, Trifolium pratense and Lolium perenne as host plants. The AMF spore community developing in the trap cultures differed: after 12 months, two species of the Acaulosporaceae (A. paulinae and A. longula) were consistently found to account for a large part of the spore community in the trap cultures from the organic systems but were found rarely in the ones from the conventional systems. 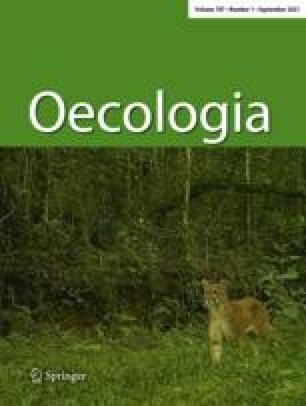 The findings show that some AMF species present in natural ecosystems are maintained under organic farming but severely depressed under conventional farming, indicating a potentially severe loss of ecosystem function under conventional farming. We thank Dr Endre Laczko for his help and advice regarding statistical treatment of the data and Dr Dirk Redecker for critically reading the manuscript. The technical help of Larissa Vines, Robert Bösch and Giacomo Busco is gratefully acknowledged. This study was supported by the Swiss Agency for Development and Cooperation in the framework of the Indo-Swiss Collaboration in Biotechnology programme and by the Bundesanstalt für Landwirtschaft und Ernährung, Bundesministerium für Verbraucherschutz, Ernährung und Landwirtschaft (Bonn, Germany) in the framework of the Bundesprogramm Ökologischer Landbau.